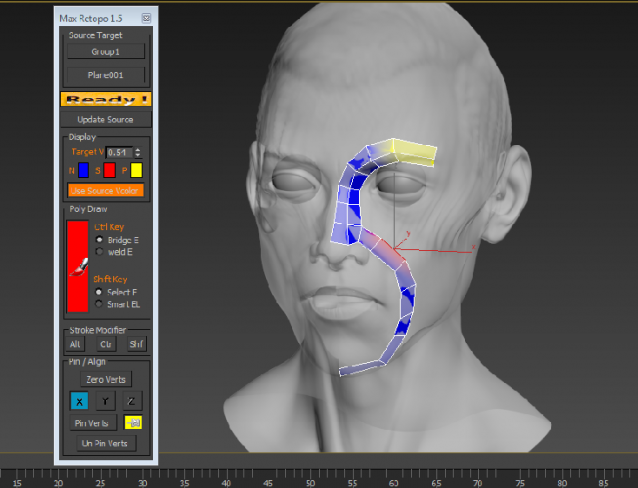 The DebrisMaker2 is a free procedural geometry creation tool for 3ds Max, that lets you quickly create objects for your 3D scenes. 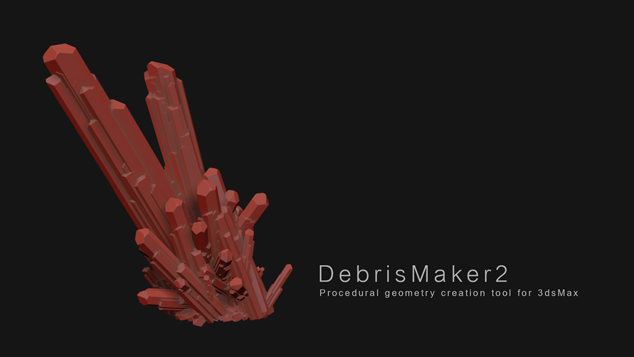 With the DebrisMaker2 you can create brick, corrugated metal, crystals, gemstones, snowflakes, grass, gravel, leaves, logs, splinters, meteors, obsidian, pigeons, planks, twigs, river stones, sandstone, shrapnel and slate. You can input parameters to customize the style of your debris. Sets the default mode in Nitrous to "Shaded" and disables AO/Shadows/Dual light etc.. by default. Completly configurable default shading mode and default advanced Nitrous options. This script allows you to copy and paste properties from one object to another (or multiple at once). This is useful for copying camera settings from one to another. Although it will do any type of object you copy from. You can easily include/exclude any properties you DONT want copied (like FOV, focal length, etc). 1. In Max goto "Customize -> Customize User Interface -> Toolbars tab -> Category: ColinScripts->Properties (Copy)" and "Properties (Paste)" and drag them to a toolbar. mesh to their closest counterpart in the destination mesh. Ant Traffic Simulator script allows you to rig and animate vehicles to your scene with just a few mouse clicks and it will drastically reduce the time necessary for vehicle animation in visualization scenes. 2013-05-10: Small bug was fixed that caused the script to fail in Max 2014. Grab the latest if you are having problems. 2012-04-16: I made a small bug fix that clears up a problem with some uses of multi-sub materials. If you've already installed it, download and run it again to clear up that problem. See RappaTools3 PlayTime 02 Here and RappaTools3 PlayTime 03 Here ! The previous version did not fully correct the issue 2009/2010 users were having. This one does. Apologies.